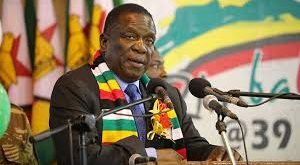 Anti-President Robert Mugabe activists – including exiled musician Thomas Mapfumo are next week headed for the United Kingdom (UK) where they will next week, mobilise Diasporans to bring back the troubled southern African nation into the spotlight. This comes as pro-democracy activists are now devising new strategies to confront 92-year-old Mugabe – Zimbabwe’s only president since independence 36 years ago – after his government’s repressive and brutal clampdown on demonstrations and imposition of a ban on protests in the capital, Harare. According to UK-based Free Zimbabwe Advocacy (FZA) group, prominent activists such as Patson Dzamara, USA-based Evan Mawarire, Sten Zvorwadza as well as Linda Masarira and Mapfumo will address gatherings in Leicester and Dunstable to drum up support for their cause. Mawarire is famed for the #ThisFlag campaign while Dzamara is popular for the#OccupyAfricaUnitySquare anti-Mugabe crusade – started by his abducted and still missing brother, Itai. The activists will also be joined by various artists for a concert dubbed “Rise up Zimbabwe UK Tour”. 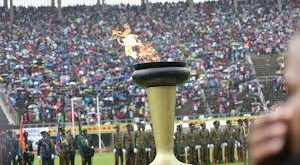 According to a letter from FZA’s Arthur Janjawa to Zvorwadza, seen by the Daily News, the programme is targeted at reviving the momentum gained during the mass protests in the country, before the repressive police protests ban. 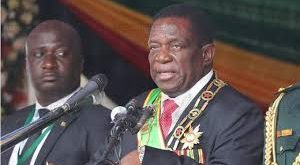 “The poverty faced by millions of Zimbabweans needs addressing now because left unabated, the malaise will spread and have serious consequences on ordinary Zimbabweans,” he said. 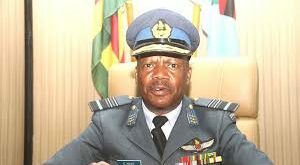 “We believe, with the momentum that has been registered from initiatives created by your combined mobilisation efforts with the masses for protests, shutdowns, demonstrations, expressions of dissatisfaction to the government on the state of the economy, continued injustices of the rule of law and corruption, the citizens have responded by rallying behind your movement,” Janjawa said. 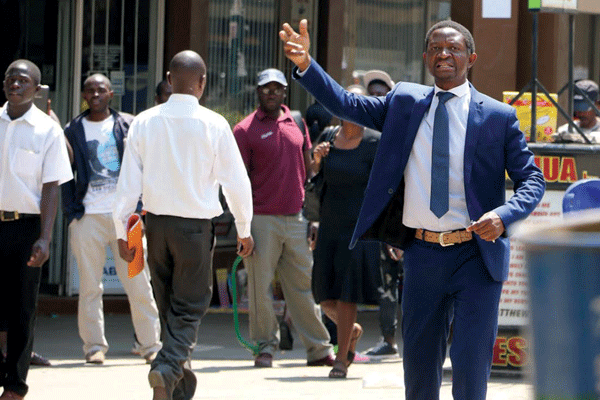 Citizen groups such as Tajamuka and vendor unions, led by Zvorwadza, have spearheaded the anti-Mugabe demonstrations that have rattled the ruling party to its foundations. Mapfumo left Zimbabwe in 2002 after composing songs against the Mugabe regime and foretelling gross corruption that was to take place in the country at the hands of the nonagenarian leader and his ruling Zanu-PF party. “The ultimate goal and objective of the concerts is to harness the synergies at play and mobilise a global audience to rally behind the movement for change sweeping the country and bring about a return to a democratic,” Janjawa said. Zvorwadza and other social movement leaders have proved to be a thorn in the flesh for authorities and their efforts to push for democratic change have been brutally thwarted by police. On several occasions, the movement leaders have been arrested. Masarira spent nearly two months locked up at the infamous Chikurubi Maximum Prison and was only released after a High Court judge ruled that her continued incarceration was illegal. The Chimurenga music icon, with most of his songs banned on national radio, participated in the anti-Mugabe protests at the United Nations General Assembly meeting in September.